Tyrone Duncan received his bachelor's degree from Rensselaer Polytechnic Institute and his master's and doctoral degrees from Stanford University. He has held regular positions at the University of Michigan, the State University of New York-Stony Brook, and the University of Kansas. He has held visiting positions at the University of California--Berkeley, Harvard University, and the University of Bonn. He is the author or co-author of more than 125 papers in the areas of stochastic optimal control, adaptive control, filtering and communication as well as related topics in probability. 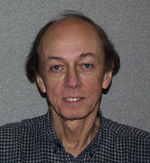 He is member of the editorial boards of SIAM Journal on Control and Optimization and IEEE Transactions on Automatic Control. Ph.D., Electrical Engineering, Stanford University, 1967. M.S., Electrical Engineering, Stanford University, 1964. B.E.E., Rensselaer Polytechnic Institute, 1963. Stochastics of mathematical finance, Stochastic analysis and its applications, Stochastic adaptive control of linear partial differential equations, Applied mathematics seminar, Differential equations, Probability theory. Explicitly solvable stochastic control problems, Stochastic control of distributed parameter systems, Stochastic adaptive control of linear and nonlinear systems, Mathematics of finance and stochastic modeling, Mathematics and telecommunication, Math education.